Full details as to why the Tropic Air flight from Belize’s international airport to Honduras had to make an emergency aqua landing in the middle of Caribbean Sea are still unknown, but after the aircraft experienced engine failure, Pilot Denfield Borland was able to save the lives of his two passengers (and his) as he glided his aircraft into the coral-filled waters of Belize. 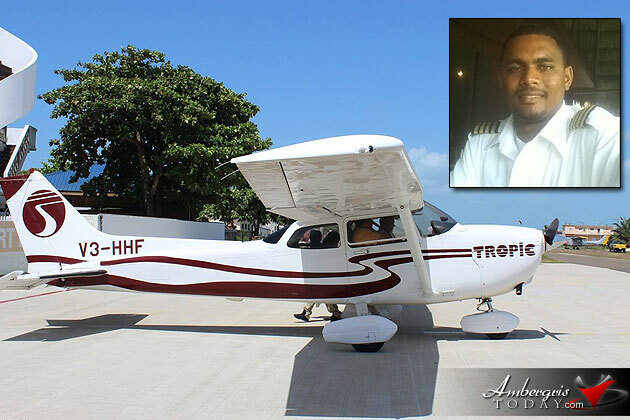 You could say that Lady Luck was on their side, as all the right things happened for the Tropic Air pilot and his two passengers to be rescued safely after their aircraft plunged into the waters off the coast of Belize into one of the most pristine diving areas in the world. Pilot Denfield Borland and his two passengers, Honduran national Eddie Bodden and American Arthur Rogers, were headed to Roatan, Honduras, after departing the Philip Goldson International Airport in Belize City, when the CESSNA-182 single-engine plane experienced mechanical difficulties around 4:45 p.m.
After radioing in his situation, Borland was able to glide his aircraft for a few minutes and safely set down his aircraft in the blue waters between the Turneffe and Lighthouse Reef atolls. Tropic Air’s flight route from Belize to Roatan, Honduras is almost entirely over water; the flight takes you over a scenic view of Belize’s Great Barrier Reef. As luck would have it, the aircraft went down in an area where there is shallow water where there is a joint Belize Coast Guard and Park Rangers station from the Audubon Society. 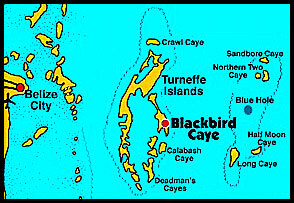 The crash site was about 14 miles east of the coast guard’s base at Calabash Caye and 4 ½ miles northwest of Half Moon Caye. The three men were rescued within 20 minutes of the incident; they swam three miles in the pouring rain inside a raft to the island. The aircraft remained partially submerged at the crash site. It is no doubt that this was a very traumatic experience for everybody involved, but great to report that there were no major injuries suffered by any of the men. This is the second incident involving a plane from the fleet of the Belize airline in the last six months. On December 4 last year, as a Tropic Air plane tried to land at the Belize City Municipal Airport it ran off the runway and landed a few feet away in shallow waters. Fortunately, the five passengers and pilot were not injured.